Never gamble with the boss’s money. I don’t know about you, but that seems to me like a pretty simple rule to follow. 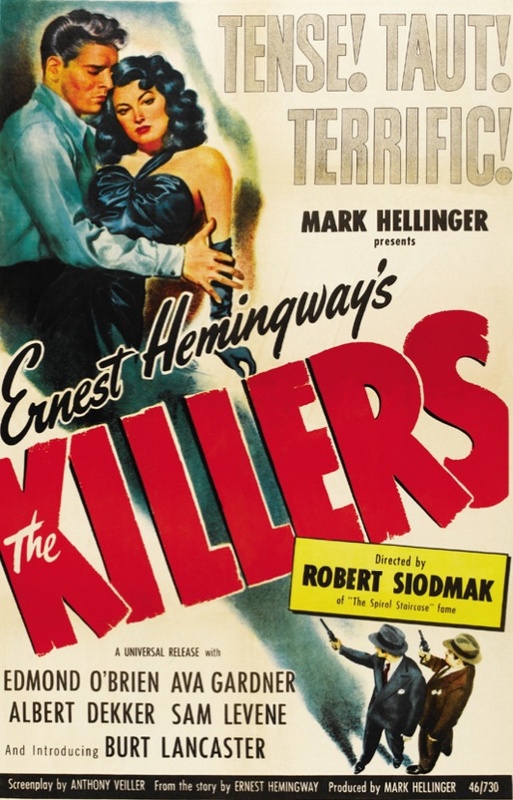 Then again, more film noirs than I can count are based on doomed protagonists breaking simple life rules because of their uncontrollable urges. In the case of Eugene Forde’s The Invisible Wall, the protagonist’s uncontrollable urge is the urge to gamble. When World War II veteran Harry Lane (Don Castle) is sent to the Hotel Flamingo in Las Vegas by his once and future boss, big-time L.A. bookie and racketeer Marty Floyd (Edward Keane), he has $1,000 of his own money, and he plans to blow his roll fast. He’s holding $20,000 of Marty Floyd’s money that he needs to make a payoff with, though, so when he meets a man who claims to have a system for beating roulette, his goose is cooked. The man who draws Lane into his gambling scheme in Las Vegas, Richard Elsworth (Richard Gaines), is accidentally killed, so Lane heads to Denver, where he impersonates Elsworth. The only snag is Elsworth’s wife, Mildred (Virginia Christine), who shows up and throws a monkey wrench into Lane’s plans. 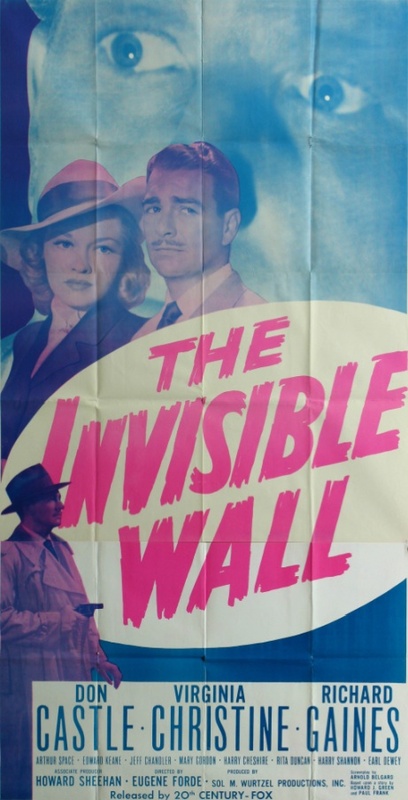 The Invisible Wall follows a familiar film noir structure. It begins in St. Louis, where Harry Lane works at the Crown Jewelry Company under another name. He’s arrested for murder and gives a full confession, telling the story in flashback. The Invisible Wall isn’t a great film by any stretch of the imagination, but it’s solid entertainment from Sol M. Wurtzel Productions, theatrically distributed by Twentieth Century-Fox. 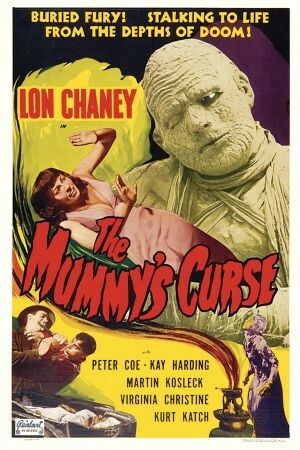 The actors are all stiff, but not laughably so, and as far as B noirs go, you could do a lot worse. Posted in 1947, October 1947 and tagged 20th Century-Fox, Don Castle, Eugene Forde, Film Noir, Richard Gaines, Sol M. Wurtzel, Virginia Christine. Bookmark the permalink.